Halsey: A brash, brave, badass artist who talks tough, believes fiercely in herself. Halsey: Hopeless Fountain Kingdom Tour. Electro pop songstress Halsey is making music on her own terms, shunning the bubblegum sheen of contemporary dance for a gritty and gothic infusion of deep beats, growling synths and soulful, powerful vocals. The talented twenty something is pushing the envelopes of territory already explored by Lorde and Ellie Goulding, but bringing a darker swagger to the table. Catch her on her world tour for a hotly anticipated album "Hopeless Fountain Kingdom". 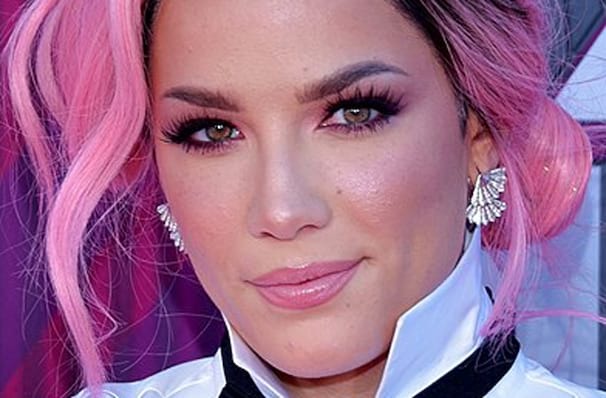 Halsey's defiant pop makes for an arresting live show; bright neon lights silhouette the energetic singer as she pours her heart and soul into her songs, connecting with screaming fans that make up a part of her large online following. She's young, bold and speaks to the new generation with songs like the anthemic 'New Americana'. Watch this space! Sound good to you? 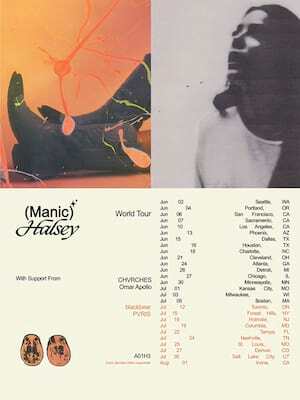 Share this page on social media and let your friends know about Halsey at MacEwan Hall.